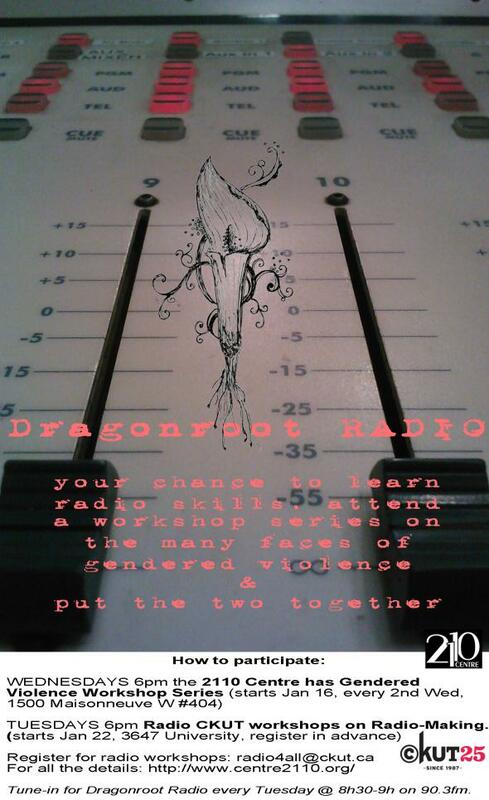 Participants will be part of producing Dragonroot radio, a joint weekly radio show co-organized by CKUT 90.3 FM and the 2110 Centre for Gender Advocacy bringing important gender issues, the latest news, incredible musical talent and discussions on cultural happenings to the airwaves. Check out the show at the 2110. Or tune-in Tuesday mornings from 8:30 – 9am on CKUT 90.3 FM to listen live.